Do letters after your name give credibility? The qualifications you need to become a Fellow are: A CIM Qualification and/or 10-15 years’ experience. Its designed for senior marketing directors and consultants and it is a paid membership so effectively if you stop paying you lose the recognition. 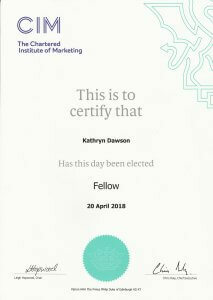 That said, the CIM is an internationally recognised organisation that is well respected for its training and qualifications as well as CPD (Continued Professional Development). This means that association with CIM provides a level of recognition that will be familiar to a wide audience. In order to become a Chartered Marketer, I need to complete 2 years of CPD (as an FCIM) and at the same time submit 4 reflective statements each year. Once I have completed this stage I will be eligible to take the online Chartered Marketer exam. 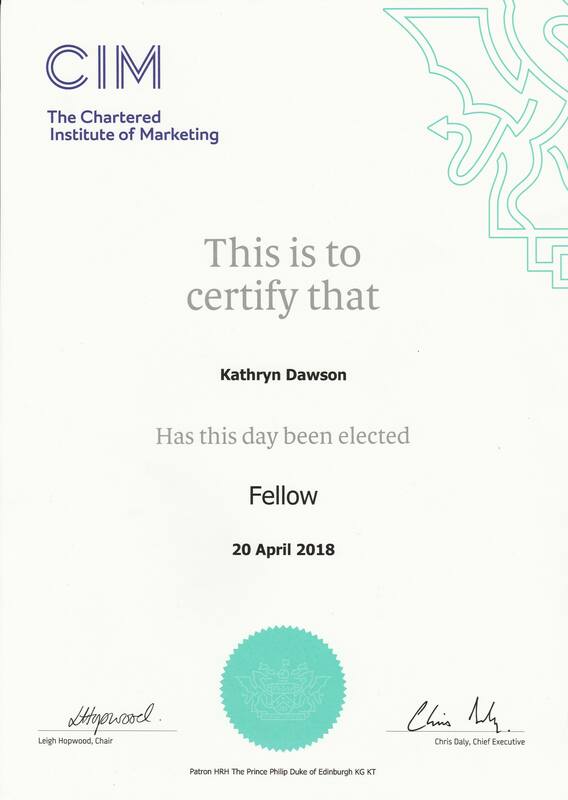 On passing that exam I will become a Chartered Marketer but I have to maintain that status by continuing with the CPD and reflective statements each year. Do letters after your name give you credibility? You definitely don’t need letters after your name to prove that you are good at your job but qualifications give you choices and demonstrate qualities that clients and employers value. My dad was an exceptional salesman and he only had a few school certificates but he was always keen that I tried hard and went to university. When we appointed staff in our agency we looked at their qualifications and were impressed by people who got firsts in their chosen subject but we also employed people with a proven track record and no degree. Letters after your name can help especially if the person you are trying to impress is impressed by your qualifications. I did an MBA at Exeter because I wanted to learn, not because of the letters but I can’t say its ever done me any harm!